Roy Green is Emeritus Professor and innovation adviser at the University of Technology Sydney. Roy has undergraduate degrees from the University of Adelaide and a PhD from the University of Cambridge, where he was a Research Fellow. 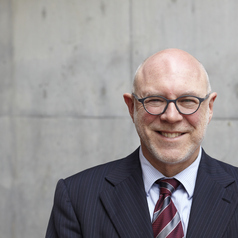 He was Dean of the UTS Business School for 9 years and he has also served as Dean at the National University of Ireland Galway and Macquarie Graduate School of Management. Roy has published widely in the areas of innovation policy and management and has undertaken projects with industry, government and public agencies such as the OECD and European Commission. Roy’s roles have included Chair of the Australian Government’s Innovative Regions Centre, CSIRO Manufacturing Sector Advisory Council and NSW Manufacturing Council, and member of the Prime Minister’s Manufacturing Taskforce and Enterprise Connect Advisory Committee. He conducted a review of the Australian Textile, Clothing and Footwear Industries in 2008, led Australian participation in a global study of management practice and productivity and a major project for the Australian Business Deans Council on the future of management education. Most recently he was expert adviser to the 2015 Senate Innovation System inquiry and member of a reference group for Innovation and Science Australia's 2030 strategic plan. Currently, he is Chair of the Queensland Competition Authority, Chair of the Port of Newcastle, board member of the Innovative Manufacturing CRC and 'chief curator' of program content for the Sydney School of Entrepreneurship. He is also contributing to the NAB-CSIRO Australian National Outlook initiative.